As the automotive industry never seems to stop growing, you need a website with a unique look and powerful features that is capable to stand the tough competition. 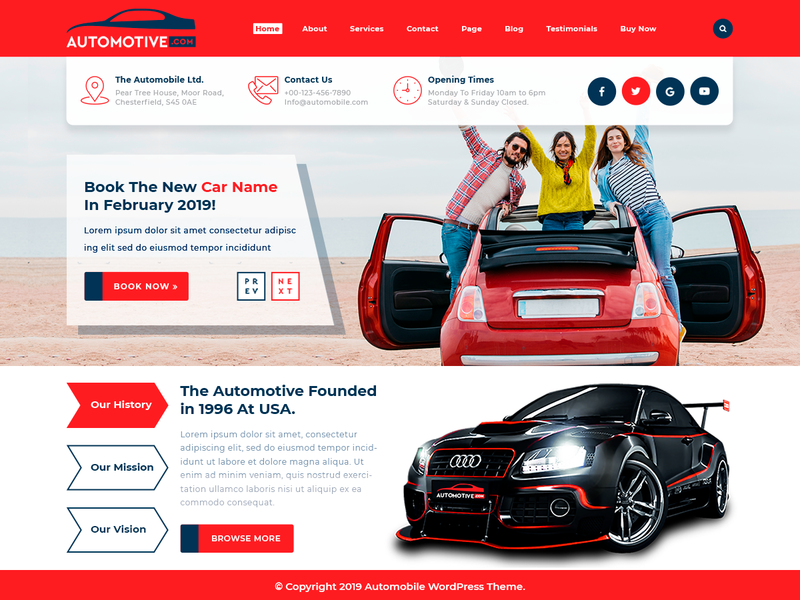 This automotive WordPress theme gives you all this and much more at a very affordable price to craft a website which will be clean, resourceful, multipurpose and well structured. It is equipped with amazing range of functionality to serve the varying needs of an automotive website whether it is for car dealership or car rentals, cab services, aircraft manufacturing industry, car repair shop, ATV and RV manufacturer and many other websites. It comes with a fully explained documentation to understand theme working and if that is not enough, then we also provide friendly and snappy customer support and regular theme updates for one year with this automotive WordPress theme for uninterrupted working of your website. This automotive WordPress theme is readily responsive, social media linked, multilingual, all browsers compatible, SEO friendly and retina ready. It is bundled with a range of beautiful Font Awesome icons and some much needed shortcodes to include them in various functional blocks throughout the theme. It is customizable to the deepest core to change its background, colour, font, logo, menu style, slider settings and various other components through theme customizer which does not require you to be a coding wizard. This automotive theme offers three different website layouts, multiple styles of header and footer, two blog layouts, simple and mega menu option and unlimited colour choices. Social Media Integration - Add your social links so that your visitors can communicate with you easily. Custom Page Templates - Provide some pre-installed page templates like Blog, Pages, Contact etc.